WTI crude had a rather quiet day, climbing just $0.25 to $105.57 despite signs the US economy is on the right track and the things are getting better even in Europe. China's economic slowdown and the overall record high in oil supplies might have worked as a counterbalance. Although the general sentiment is that the US is improving, gold investors paid closer attention to a slight rise in the jobless benefits figures. As such, they pushed gold prices $12.2 higher to $1,334.4 on views that the monetary stimulus game is still on as the pace of recovery does not permit any tapering just yet. We saw a sharp drop in WTI crude oil prices yesterday, falling $2.05 to $105.28, driven by news that US oil production rose to a 22 year high last week. The slump was undoubtedly accentuated by an earlier report from China, the world's second biggest economy, showing that manufacturing data had missed analyst estimates. Every sign that the US economy is improving keeps bringing us closer to speculation about scaling down monetary stimulus. In turn, that speculation is bad news for gold prices as the need for wealth preservation also takes a hit. This was certainly the case yesterday and the precious metal retraced $27 to $1,321.2, denting the bulls' hopes of a more meaningful rebound. With WTI crude oil slumping during the first part of yesterday's trading session, hitting an intraday low of $105.46, it appeared that the profit taking in crude was set to continue. However, China then reiterated its pledge to defend the country's 7% economic growth rate. Understandably, the energy sector speculated that the demand for oil will remain well supported and pushed WTI higher, closing the day up $0.38 at $107.36. Gold added another $12.8 to its price, reaching $1,347.9, as investors' demand for coins, bars and jewellery was bolstered by the slump to $1,200 level. However, India has announced some extra restrictions on imports which might limit the rebound of the last few weeks. Some weaker-than-expected figures for the US housing sector served as a warning that the pace of economic recovery remains fairly anaemic. Commodity investors feared that they had gotten too optimistic and decided to square some of their long positions. As a result, the price of Nymex crude oil slumped $1.12 to $106.92 for the day. Gold prices rallied sharply yesterday, rising $37.9 to $1,335.4 on disappointing economic data which boosted the demand for wealth preservations assets. It seems that Bernanke's latest speech was a breath of fresh air for the precious metal as the market acknowledges that all the options are back on the table again. Mirroring the economic recovery in the US versus the state of affairs in Europe, WTI crude oil prices managed to surpass the price of Brent crude for the first time since 2010. Coupled with signs that US crude stockpiles are dropping, this pushed WTI spread betting prices $0.38 higher to a recent record of $108.90. The suggestion that monetary stimulus could be maintained, going against growing speculation that the tap would be turned off sooner rather than later, meant gold received some renewed support on Friday. As a result, the precious metal managed to edge higher, rising $11.6 to $1,294.8, and has already jumped above the $1,300 mark at the time of writing to trade around $1,317. WTI crude oil closed at a new recent high of $107.94 per barrel, climbing $1.61 for the day on the back of stronger than anticipated employment data and ongoing good results from corporate America. One other feature worth mentioning is that the crude oil differential between the Brent contract and WTI, once above $22, is now below $1.00. Rising physical demand for gold has pushed its price $8.7 higher to $1,283.6 as investors take advantage of the recent slump. However, the precious metal is likely to remain under pressure as long as the US economy keeps recovering at a decent pace and inflation is kept in check. The energy sector saw another supportive crude oil stockpiles report yesterday, with a drop of 6.9 million barrels versus estimates for a draw of 1.9 million barrels. One of the main factors behind the surprise figures was strong demand from oil refineries. The reaction was another rise in WTI prices, limited slightly by a bout of weak economic data. Investors chose the US dollar over gold yesterday, in a trade which seems to have become the norm these days given that the economy is slowly recovering. As a result, it was little surprise to see the precious metal resuming its slump, losing $16.8 to $1,274.4. Nymex crude oil prices followed equities lower yesterday, losing $0.69 to $105.75 and discarding the support of a weaker dollar. In all honesty, crude oil was probably due something a pull back following such a strong rally from below the $96 mark in late June. This week's US crude inventories are predicted to drop by 1.9 million barrels in a report to be released later today by the US Department of Energy. A weaker US dollar helped gold prices move $8.3 higher to $1,291.2, although the $1,300 mark remains elusive for the time being. In addition, speculation that Ben Bernanke will reiterate the Fed's current stance regarding QE undoubtedly helped to increase demand for gold as a wealth preservation asset. WTI crude oil futures paid little attention to the weak US retail sales report, instead concentrating on New York's fast expanding manufacturing sector. Additionally, the geopolitical factor played its part as Egypt fears mass protests to reinstate the ousted President Mohamed Morsi. 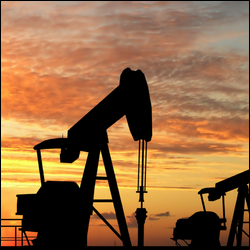 As a result, the energy sector remained well supported, with the price of WTI crude gaining $0.42 to $106.44. Gold had another quiet day, sliding $2.1 to $1,282.6 amid a tight intraday range. It seems likely that spread trading investors are waiting on the sidelines as Federal Reserve Chairman Ben Bernanke is due to testify before the Congressional Committee tomorrow. Following record losses over the past few weeks, concerns that US crude oil inventories will continue to shrink brought some buyers back into the energy market. This managed to push the price of US crude $1.49 higher to $106.05 a barrel. In addition, US stock markets are retesting the all-time highs; another supportive factor for the energy complex. A stronger US dollar sent gold prices $2.2 down to $1,283.4 on Friday as an attempt to test resistance at $1,300 did not materialise. Nevertheless, had it not been for position squaring ahead of the weekend, it could have been a lot worse as the intraday low was $1,267.3.